From playing sports to playing your favourite songs, vivoactive 3 Music is the smartwatch for your active life. It features on-device music storage, so you can bring your tunes along for every workout. This sporty smartwatch has wrist-based heart rate monitoring and more than 15 preloaded sports apps, so you can choose how you like to get fit. Built-in GPS lets you accurately record outdoor activities. With storage for up to 500 songs, vivoactive 3 Music puts the "beat" in your daily mission to beat yesterday. Use our Garmin Express™ software to easily transfer music from your computer, and then queue up your favourite songs for easy listening through Bluetooth-enabled headphones. You can even download select music streaming service apps from our Connect IQ store and then sync your customised playlists to your watch for offline, ad-free listening.4 Now you really can leave your phone behind when you work out, because the music that helps keep you moving is right on your wrist. 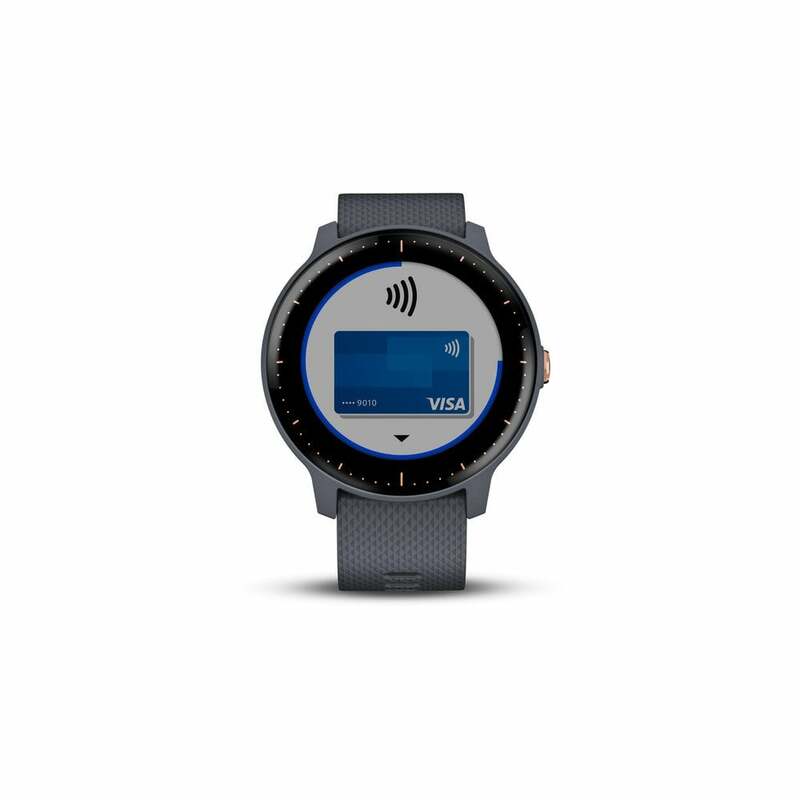 The vivoactive 3 Music smartwatch features Garmin Pay, which lets you pay for purchases with your watch. Use it just about anywhere you can tap your card to pay.1 So you can leave your wallet behind without missing out on that post-run caffè latte. Just tap and go.